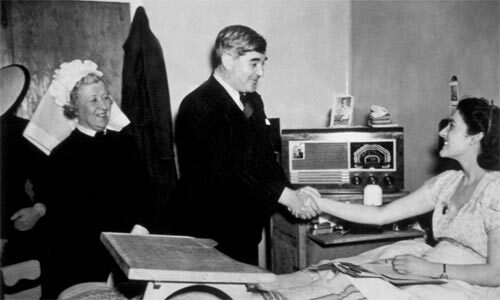 The United Kingdom’s National Health Service marked its 70th birthday this year, so this is a good time to reflect on the NHS’s past and consider its future. The NHS has long been a source of inspiration in health-care debates around the world. But if it is not put on a more sustainable footing, it could become a cautionary tale. High drug prices can have ripple effects beyond public health around the whole world. It creates a huge barrier to access to medicines for two billion people and pushes 100 million people into extreme poverty every year. Beyond the human suffering, this imposes high economic costs. The lost human capital includes not only those who are forced out of the taxable workforce by personal illness, but also those who must drop out to care for them. Most crucially, it is increasingly difficult to balance the goals of ensuring patient access to effective medicines, managing rising health-care expenditure, and incentivizing innovation. Even if access to health care were assured, and pricing well managed, there would still be a problem with the current direction of health innovation. Diseases that do not create potential growth markets are largely ignored. Between 2000 and 2011, only 4% of newly approved drugs were for neglected diseases that affect predominantly lower- and middle-income countries. Meanwhile, in the US, 78% of new medicine patents between 2005 and 2015 were related to drugs that are already on the market. And in Europe between 2000 and 2014, 51% of newly approved drugs were modified versions of existing medicines, and thus offered no additional health benefits. With health-care systems often failing to provide patients with the treatment they need at a price they can afford, and with health innovation not addressing public health needs, the status quo is not sustainable. But to restore public purpose to health-care provision and innovation will require the kind of transformation that the NHS’s founders ushered in 70 years ago. To that end, the first step is to acknowledge governments’ vital role in the development of new treatments and drugs. Rather than simply funding innovation, governments need to start directing it with the same level of involvement that they bring to defense spending. That means aligning upstream research funding with downstream applications and public objectives. The pharmaceutical industry will no doubt argue that government engagement stifles innovation. But it was a state-led, mission-oriented approach that put a man on the moon, created the Internet, and paved the way for self-driving cars. Governments and the societies they serve should be ambitious, while always asking themselves a practical question: What are we trying to achieve? Once we know that, legislation and regulatory measures can be brought to bear to advance our collective goals, and to encourage bottom-up experimentation. For example, prizes might be better than prices for stimulating private investment. And government procurement processes could surely be better aligned to steer the direction of innovation. Even more to the point, policymakers need to address the financialization of the pharmaceutical industry, which is focused solely on shareholder value, rather than on all stakeholders. Between 2007 and 2016, the 19 pharmaceutical companies in the S&P 500 as of January 2017 spent $297 billion repurchasing their own shares to boost their stock price, and thus the value of their executives’ stock options. That is 61% of their combined R&D expenditures over the same period. As long as this business model prevails, price gouging will continue. As happened recently with one antibiotic, CEOs will say that they are serving shareholders by letting prices rise to whatever the market will bear and abusing intellectual-property rights to extract monopoly rents. Patents have become too difficult to license, and they are too often acquired for strategic reasons than for novelty, as was originally intended. To bring health care back into line with the public interest, we can still find inspiration in the NHS. Its founders’ mission was to create a system that serves everyone, is free at the point of delivery, and caters to patients’ needs, not their ability to pay. Today’s policymakers should reaffirm that basic mission. Only by aligning innovation with the priorities of a civilized society can we finally take health care to the next frontier. Mariana Mazzucato is Professor of the Economics of Innovation and Public Value and Director of the UCL Institute for Innovation & Public Purpose (IIPP). She is the author of The Value of Everything: Making and Taking in the Global Economy, which was shortlisted for the Financial Times-McKinsey Business Book of the Year Award.